Our reversible Custom Comforter provides added value in longevity. 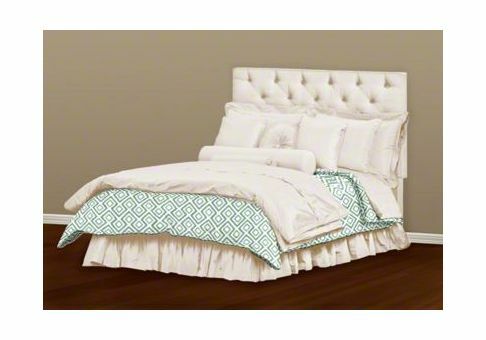 Available in multiple sizes, our comforter comes with the options of welting, fill type and quilting patterns. These options coupled with our fabric assortment, or your COM fabric, provide an exciting selection of beautiful custom options for your bedroom retreat. Imagine how comforting it will be to know your new bedding was exclusively made just for you, right here in the USA! Our 9 oz., 14 oz. and 19 oz. 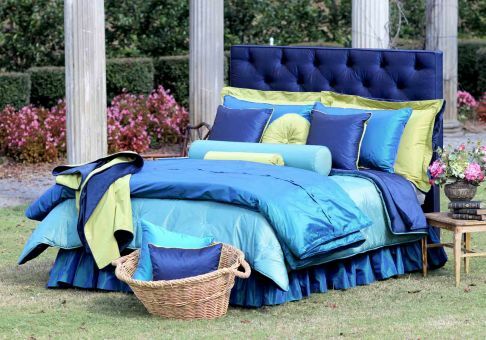 is 100% polyester fiber fill that is quilted into the comforter. Our down-filled inserts are hypoallergenic with a 700 fill power of white goose down. This luxurious fill is then enclosed in a white 100% cotton, 400 thread count sateen shell that has double stitched seams to lock in the down fill. Indication of the insert size ounce weight determines warmth. Fill power is the measurement of how much space a down cluster fills per ounce. It also indicates quality, the age of the goose, retention of loft and firmness, insulating power and weight of the final insert. Larger, mature down clusters trap more air, so they are warmer and weigh less, ensuring a good night's sleep. 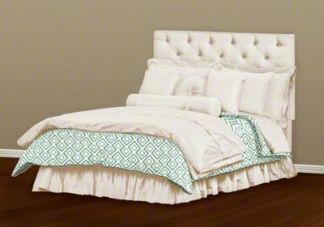 9 ounces of 100% polyester fiber fill is quilted into the comforter. 14 ounces of 100% polyester fiber fill is quilted into the comforter. 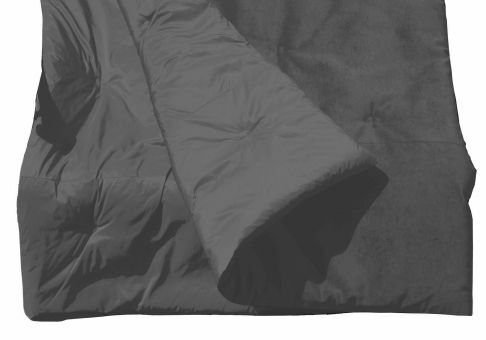 19 ounces of 100% polyester fiber fill is quilted into the comforter. Weight by Size: Twin/Daybed - 26 oz., Full - 26 oz., Queen - 26 oz., King - 38 oz., Cali King - 33 oz. Weight by Size: Twin/Daybed - 33 oz., Full - 33 oz., Queen - 33 oz., King - 48 oz., Cali King - 42 oz. Weight by Size: Twin/Daybed - 42 oz., Full - 42 oz., Queen - 42 oz.